Pinata measures 19 inches high by 12 inches long by 4 inches deep. 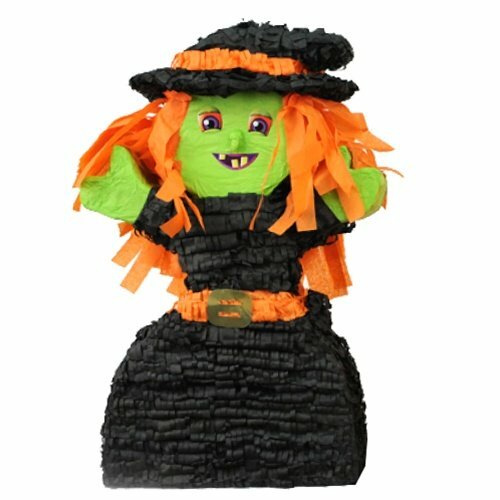 This spooky pinata features a crazy witch with messy orange hair, green face and crooked teeth. Use as a centerpiece to decorate the table at your next Halloween party or fill with toys and candy and play the traditional pinata party game. Holds up to 2 pounds of toys and candy (sold separately).